Often referred to as the forgotten generation, people born between 1965 and 1980 have always lacked the population numbers of baby boomers. Numbers from the U.S. Census Bureau show that Millennials are now the largest living generation. For many companies, people currently between the age of 35 and 50 are relegated to being the unappreciated middle child when it comes to marketing. Generation X grew up in a transitional time. Traditional views on family values unraveled as divorce rates skyrocketed. They were the latch key kids. At school, teachers pressured them to learn skills that would soon be obsolete. They went home to an empty house to fend for themselves. Their friend and babysitter was an analog TV. It should be no surprise that they are individualistic, question the virtues of hard work, and are wary of authority. Cross platform marketing is a must. 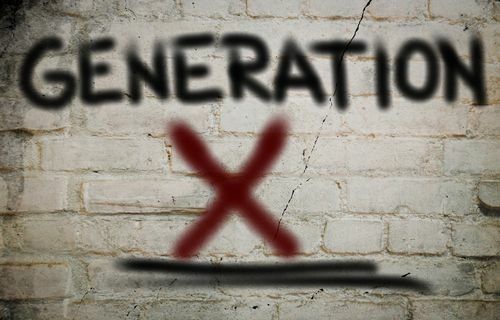 Marketing to Generation X is more complex than selling to younger consumers who share everything via social networks. They appreciate products and services that have lasting value. Their parents did not throw things away. Generation Xers look for items they can pass on as heirlooms. They are more likely to spend on once-in-a-lifetime experiences that older generations consider frivolous and younger generations take for granted. They are playing it safe with finances. Many are rapidly approaching retirement. The Great Recession taught them to be mindful of their finances. They do value family. Many still have children living at home. They are also stepping up to care for their elderly parents. Emphasize how your products or services help them reach their goals and you will win them over as customers and clients.